Happy June! Are you ready to bust out the sunscreen, grab your sunglasses and mosey down to the nearest beach? Or do you find yourself up to your ears in work? With the middle of the year upon us are you running from meeting to meeting leaving with a task list that grows longer with each day? I am going to guess you may fall into the latter of these two descriptions. To help you out, in our blog for this week we’ve compiled the requirements for the CMS Inpatient Quality Reporting (IQR) program to hopefully make your life just a little bit easier. 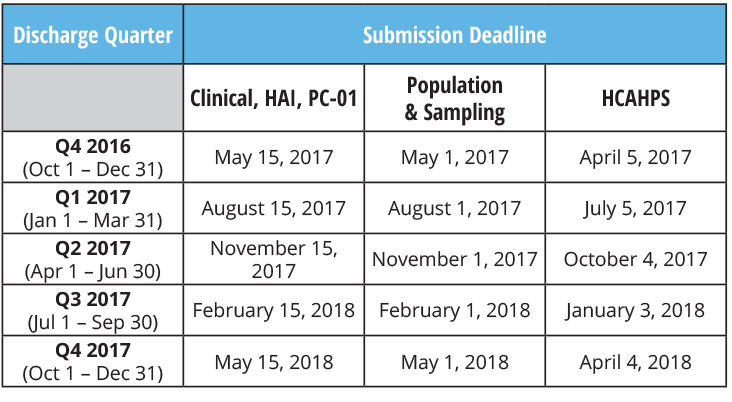 We’ve included an easy to read summary of the requirements for the program as well as all of the 2017 deadlines. 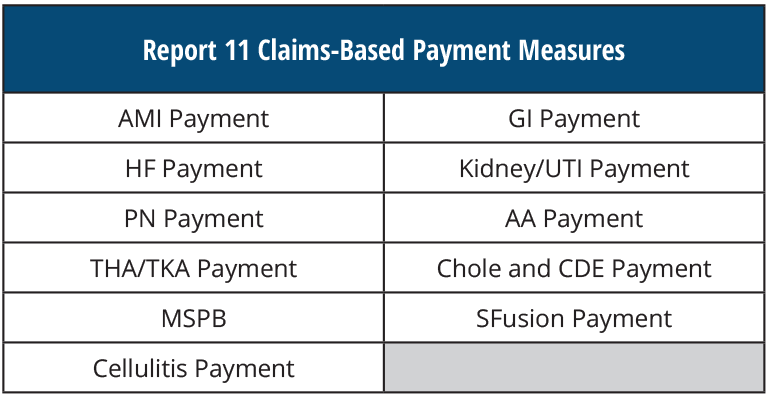 To successfully report to the CMS IQR program, Eligible Hospitals must submit the following measures. By submitting these eCQMs, you will fulfill your CQM requirements for the EHR Incentive Program, otherwise known as the Meaningful Use program. eCQMs: Submit one quarter of 2017 data by the February 28, 2018 deadline. Keep in mind again that this was also proposed to be modified in the recent rule.They are proposing to cut it from requiring you to submit all four quarters of data down to just any two quarters of data. The submission deadline remains the same. Again, we suggest that you act as though you will need to submit all four quarters. Bonus, if you submit two quarters early on, then you’ll be done for the year if the proposed rule becomes finalized. Your data must be submitted no later than 11:59 p.m. PT on the submission deadline with the exception of HCAHPS, which must be submitted by 11:59 p.m. CT; validation medical records must be received by CDAC no later than 4:30 p.m. ET. Validation for fiscal year 2019 includes Q3 2016, Q4 2016, Q1 2017, and Q2 2017. There are many different circumstances that would qualify a hospital to have either modified requirements or to be excluded from the IQR program altogether. We’ve included a link here to the 2017 IPPS Final Rule starting with the section on excluded hospitals. However, the best way to understand your requirements is to speak with a Medisolv representative who can walk you through your hospital’s specific needs. 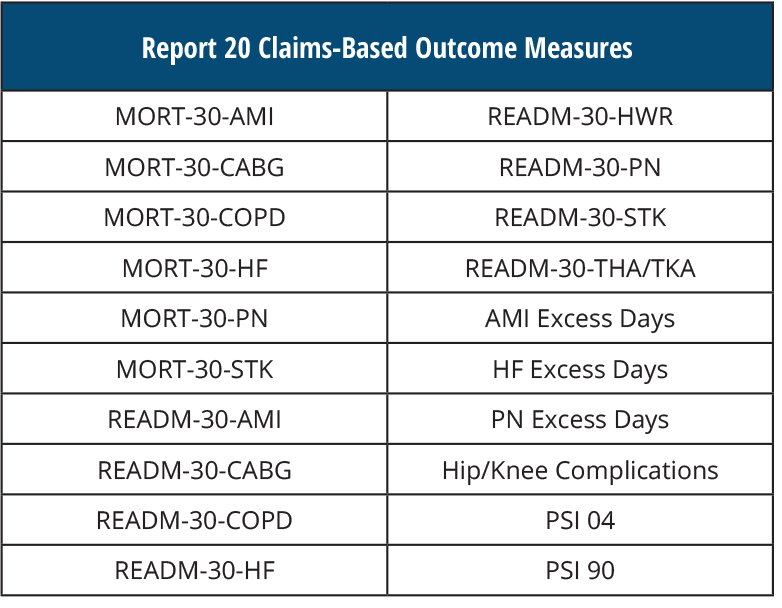 CMS and The Joint Commission have been saying for a while that they are aligning the two programs to make it easier for hospitals to report their eCQM and chart-abstracted measure data to both organizations. So why is it so hard to find the information that you need for both programs in a consistent manner? We understand. That’s why Medisolv put together our Ultimate Regulatory Requirements Kit. We scoured through multiple CMS and Joint Commission documents to standardize and simplify the requirements for you.